The plane went missing on the 10th of August in 1984. It was a Cessna L-19E “Bird Dog” – a two-seater liaison and observation aircraft built for the US Military. [The pilot] had been offered a contract by the Colorado Dept. of Forestry to videotape a particularly nasty type of beetle infestation that had been ravaging hundreds of acres of Colorado forest in and around some of the higher-elevation foothills surrounding some of the Rockies. One thing that was unique about this particular flight was that the pilot had mounted a VHS video camcorder atop the instrument panel for the purpose of visually recording any beetle infestation that was observed along the flight route. The pilot started the camera shortly after takeoff and it ran until the aircraft crashed down through the trees – approx. 6-1/2 minutes later. The tandem plane departed Granby (KGNB) with a passenger for the scenic flight over the Colorado mountains but never arrived at Jeffco (KBJC) as planned. No one knew what had happened: the aircraft had tumbled into the trees and landed on the Emergency Locator Transmitter, cutting off the signal. Although there was a fire, it burnt out quickly and there was not enough damage to mark the crash site from the air. The wreckage was discovered three years later, when backpackers hiking through the woods found the crash site, including a video tape hanging from tree branches. The video was released to the FAA who who were amazed to find that it had survived both the crash and three years of exposure with only minor damage. Using the video as primary source data, the NTSB released an accident report. The airplane departed Grandby 8/10/84 and failed to arrive at its destination. On 8/23/87, it was found on the slope of a high tree-covered ridge. Video tape recovered from the wreckage provided a visual and audio record of the flight from takeoff to impact. Comparing the recording to a topographical map, the flight was climbing and its altitude above the ground was decreasing when it crashed at the 10,200-ft level. During the last few seconds of the tape, the terrain dominated the view through the cockpit window. The pilot made a 60-deg bank, and the stall warning horn could be heard 3 times during aprx 180 deg of turn. the airplane subsequently stalled, flipped over, and entered the trees. The density altitude was about 13,000 ft. 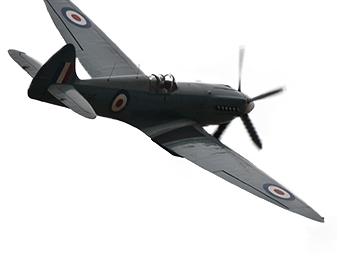 The pilot continued to fly into rising terrain until he was boxed in. He saw the ski slopes which are almost certainly on the leeward side of the mountain: mountain flyers know these can produce a severe downdraft and are trained not to fly straight into them. The pilot presumably panicked because he then compounded his worsening situation with the steep turn to the right. The plane lost lift and the stall warners sounded. The altitude, temperature and humidity combined to create the density altitude of 13,000 feet when the aircraft was actually at 10,200 feet. 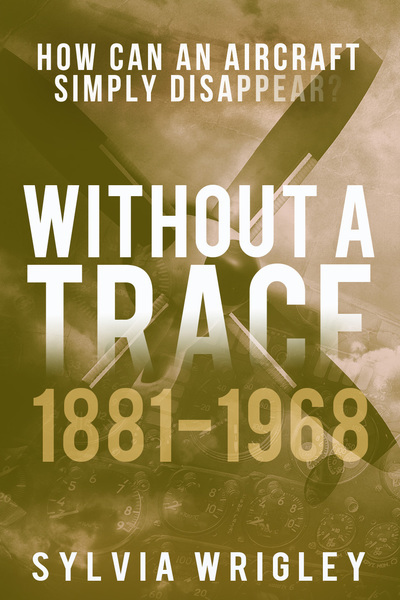 The high density altitude, flying over Colorado mountains in August, meant that in the turn, the plane was as high as it was capable of flying and was no longer able to climb at speed. He makes a moderately steep turn to the right (in excess of 45 to 50 degrees angle of bank) in an attempt to turn around quickly – the plane loses considerable lift and initially stalls twice; then on the 3rd stall (with the stall warning horn blaring in the background), enters the traditional “stall/spin” syndrome and flips upside down as the left (up-wing) wing stalls completely and the plane, flipping over on its back, plunges straight down through the trees – but not before capturing the pilot’s last mournful cry to his friend in the back seat: “Damn, hang on Ronnie! 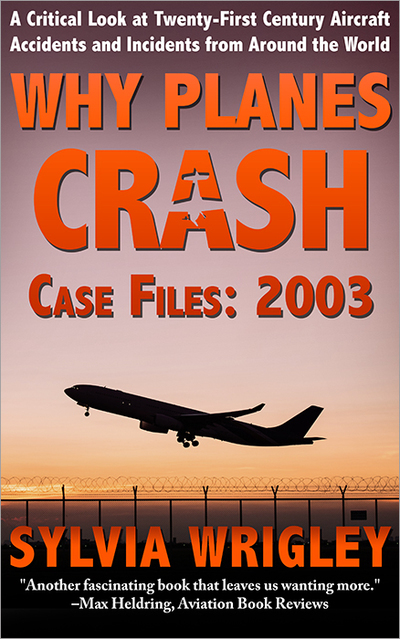 !”; the plane smashes downwards through the thick tree branches (you can hear the heavy “thuds” as the plane’s wings smash into these while heading for the ground); it crashes & burns – killing both the pilot and back-seat passenger. Improper in-flight planning/decision by the pilot in command and airspeed not maintained are cited by the NTSB report as the probable causes, with the high density altitude and mountainous terrain given as contributing factors. The pilot’s family requested that the film not be released to the general public and a 20-year moratorium was placed on the footage. That expired in 2009 and the footage was released. This is a hard video to watch. The plane is flying low and slow but there seem to be plenty of escape routes. I kept thinking, hey, there’s still room to get down, if he stalls now, he can head for that valley and get some speed back up. And every time, the aircraft got a little lower and a little slower, taking in the view. The pilot gets tempted down to look at the lake and never regains that height. When the mountains took over the horizon, he must have realised he was boxed in. And then that turn … I wanted to scream. I couldn’t have the sound on, watching that. I didn’t want to hear the moment he realized it was all going wrong. Your reaction reminds me of when I was reading case law. The stories always started so well — “two men go into partnership together in a chicken farm,” and one wants the story to end well, with success and contented barnyard fowl. But, of course, it’s not to be; they inevitably fall out with one another and end up in court, and their unhappy story becomes the illustration of some point of contract law. Otherwise, I’d not have been reading about them; their chicken farm would have been subsumed into the great mass of agricultural history. It’s worth remembering, or trying to, that so many people flew through that valley and enjoyed the view of that lake, but didn’t crash. We just don’t hear about them. Yes, it’s important to keep that context, I think. 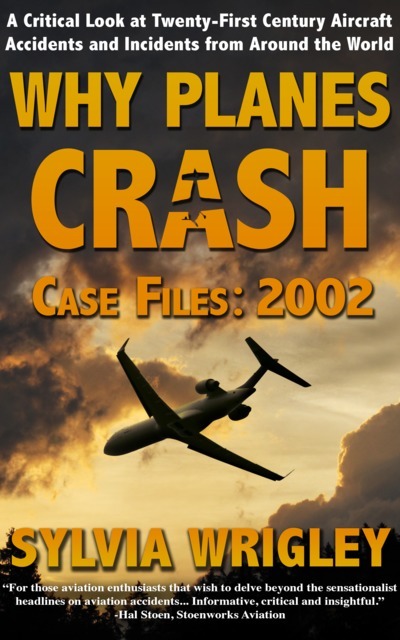 Most flights do not end in an accident report, let alone a fatal crash. Just so frustrating that I can’t reach through and say, hey, watch it! before it ever gets to the point of no return. I don’t blame you for keeping the sound off. 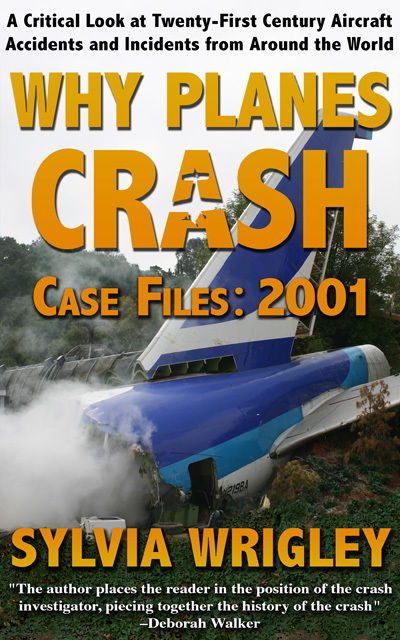 I can watch Air Crash Investigation all day, but you’re right – that was really hard to watch. That’s an interesting point – I’m not sure where the line is drawn but it’s clearly not number of souls on board. I could almost feel that iam there with them, I feel very sad, if someone view this video. And learn from it. I felt that the plane was struggling, and the passenger some how knew something is going g to happen but praying for a good landing. Very very disturbing video. Yes, I found it really very difficult to watch. I could tell that the plane was going lower and lower and could tell there was no way out of it. Very sad and felt so hopeless that I couldn’t make it gain altitude. My condolences to their families. I was only 7 yrs old when this happened. If he had turned to the left, away from the rising terrain, I think he would have made it. He could have performed a much shallower turn. I didn’t find this hard to watch at all, in fact, I use it with my students every course to show them what not to do. This pilot is the textbook example of not being aware of elevation, weather and flight physics. This video is mandatory in all of my level 1 courses, with the full sound on. This pilot isn’t a hero and doesn’t deserve any accolades. He killed an innocent man as well as himself and if I was still practicing law and was in Colorado, I would have taken that case pro bono. I don’t think anyone was praising the pilot here, and your comment doesn’t exactly help to dispel the popular perception of lawyers as being somewhat deficient in the empathy department. Agreed Mr. Lister. Your reply is better than anything I could have come up with. This purported I-P and lawyer’s comments left me speechless. I too am a lawyer. I would say it shows great empathy to agree to take a case for free to sue the estate of a negligent pilot to collect money for the mourning family of his killed passenger. I kind of felt those same sentiments. Ronnie trusted the pilot with his life. Terribly sad for BOTH families that they were not sure what happened to these 2 men for over 3 years. I am just glad that the crash was found. I though, would NEVER had given ANY consent to release the video.. that’s just me tho. This is an old entry but it tells the sad story in such a graphic way. I cannot help wondering: It appears that the pilot, in his last fatal moments before the crash, made a right turn into even higher terrain and then compounded it by trying to turn away from the danger by turning right even further, instead of returning to the previous flight path that seemed to have offered a little glimmer of hope. At that altitude not only would the aerodynamics be tested to the limit but the engine would also be gasping for air. In an airliner, the masks would have dropped if the pressure altitude (inside) drops below 10.500 feet. The pilot might, without realising, already have been suffering from light intoxication due to oxygen deprivation. Nothing to render him unconscious, enough to slow him down and affect his judgment. The aircraft seems to simultaneously stall, hit the trees and enter a fatal spin to the left. This spin may well have been the result of impact with obstacles, hard to say. In my early days of flying, the only paying job I could get was towing advertising banners in Germany. We usually flew in formations of 3: the lead aircraft towing a large banner from a 150 HP Super Cub, the other two the slogan, divided between two 90 horse Cubs. We did have some terrain to cope with. Not really high but the drag from the banners could have the same effect. We sometimes operated as far as Garmisch Partenkirchen and we all learned to cope with up- and downdrafts. Releasing a banner could get a pilot sacked. We soon learned how to avoid the lee of slopes or hills or even fly straight at a hill as we had become acquainted with the effect of an updraft just before hitting the trees, and getting the sudden lift that carried us over the crest. On one occasion I was the “Verbandsfuehrer” (= formation leader) and had two Norwegians following me – until we came to the slope where they peeled off, waiting until they saw the Dutch guy, more familiar with the flat lowlands, make it after all before they committed themselves. And, btw: the wreckage of an aircraft in dense woodland can be virtually impossible to spot from the air. Once, in 1967, I was trying to see the wreckage of a Sabena B 727 cargo aircraft that had crashed a few days earlier during a non-precision approach into Lagos Airport DNLL. It came below MDA and hit terrain in the jungle, about 10 miles north of the airport. I had two ATC controllers with me. We did not find the wreckage. For instance: what looked like a burned-out hull was, on closer inspection, just a few dead trees. Once branches close over distorted and twisted remains, and the wreckage blackened by fire, an untrained observer will have great difficulty identifying it. RIP. If you watch the video from the begining, you think: was not he aware that the ground was becoming higher and higher as he went ahead?. Maybe the task to perform during the flight distracted him from that fact. Its something that happens, even to the best: Eastern flight 401, where the obsession with a broken indicatior light distracted them from the main task (to fly the airplane).